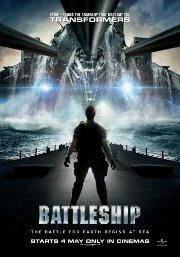 Yet another Alien Invasion story, this time based on the electronic version of the classic pen-and-paper game, Battleship. It is an epic action-adventure that unfolds across the seas, in the skies and over land as our planet fights for survival against a superior force. No persons under 10 (Violence). Ah, the Heart of the Ocean!